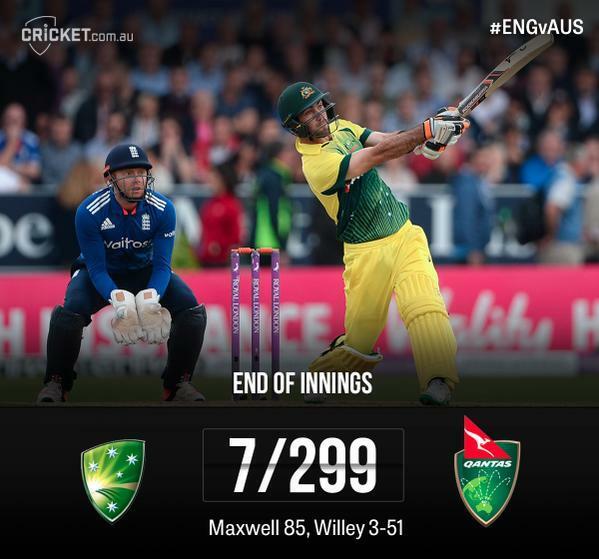 Morgan has moved to 87* with his side needing 74 more runs from 72 balls. Bairstow is 12*. Morgan smashes one back down the ground and that's the 200 up for England. They now need 97 off 85. A short one from Stoinis and Stokes dispatches it to the boundary. 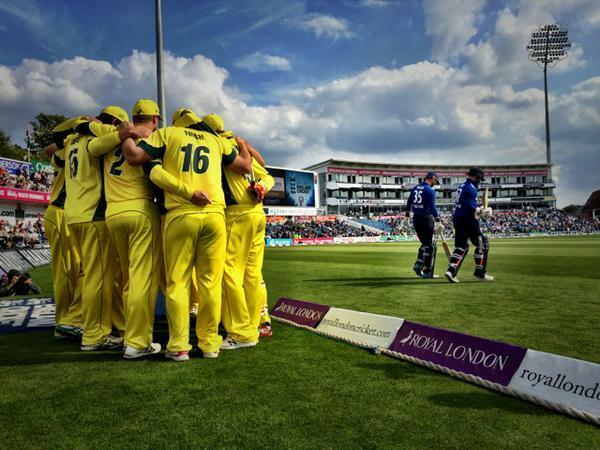 England now 3-166 after 30 overs. 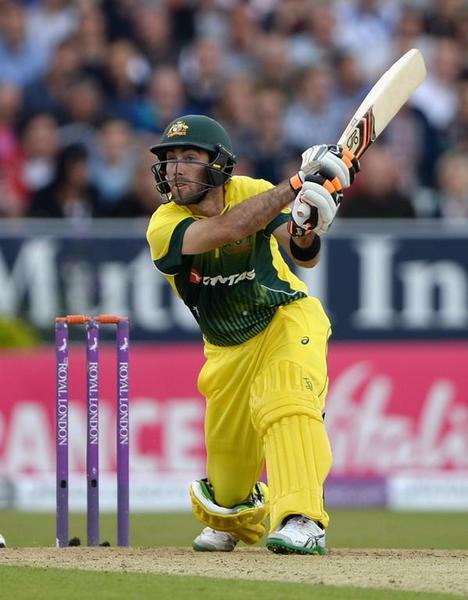 Time for some spin with Maxwell into the attack for Australia. 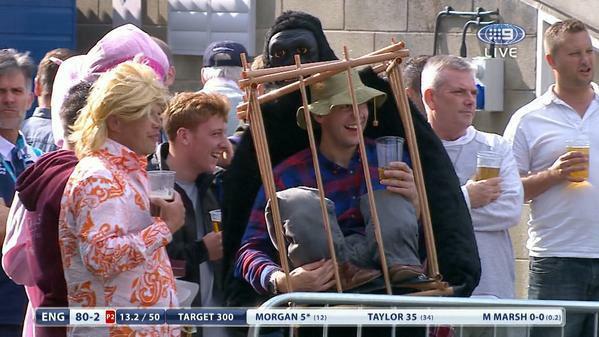 England 3-105 in the 19th over. Big over that one for England. Fourteen off it. And a four to begin the Pattinson over. 1-25 (4.1). Late hitting from Wade and Hastings means England need 300 to win! Enough? 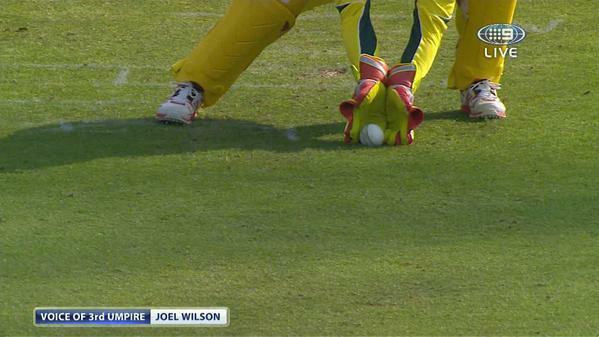 Three overs left in the Aussie innings and they're 7-257. 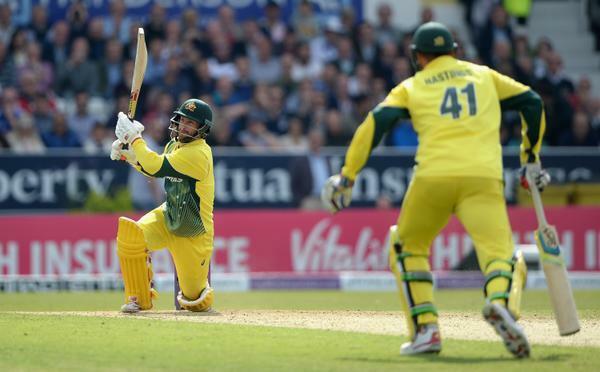 A good over for Australia as they move to 7-234 (45) with Hastings now 14* off 14 balls.